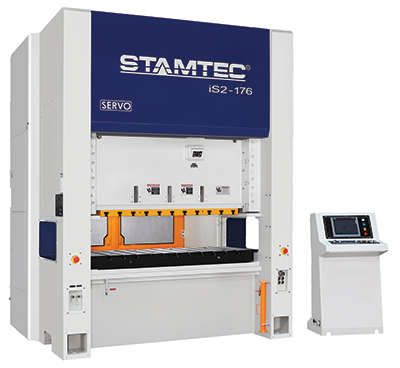 The Stamtec booth will be flush with equipment set up as a complete servo-press production system. Included will be a 176-ton, two-point, direct-drive press, model iS2-176, with variable stroke length, to 8.66 in., via pendulum motion. The press will be paired with a Stamtec TLN2-300 compact servo-driven feed line. The production line will be demonstrating various servo-press stroke profiles while stamping stainless-steel parts.